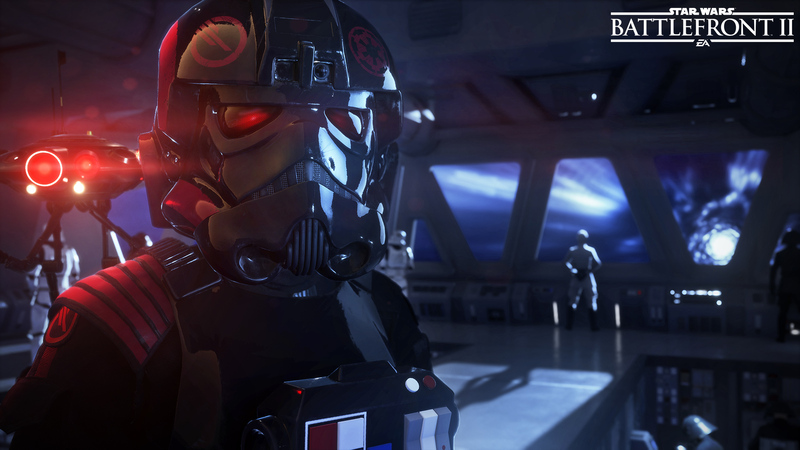 Star Wars Battlefront II 2017 is EA’s latest addition to the Star Wars franchise and aims to give players what they felt was missing from 2015’s Star Wars Battlefront. 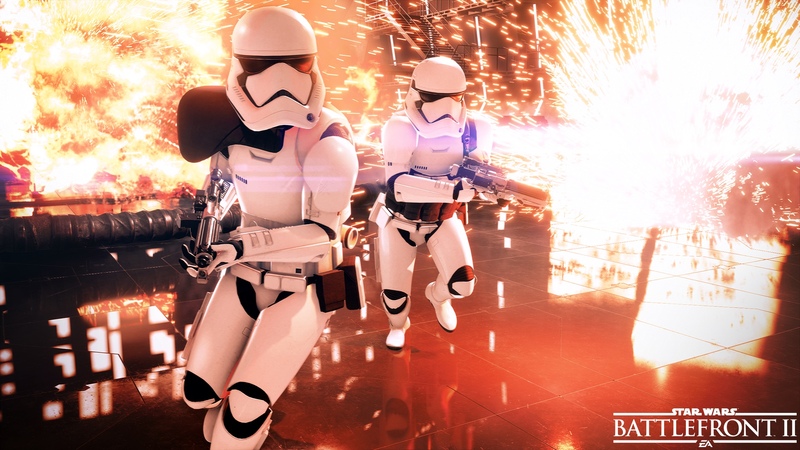 Most notable, the Star Wars Battlefront II release date is November 17, just in time to get you hyped for Episode VIII: The Last Jedi. Star Wars Battlefront II actress Janina Gavankar lead the E3 presentation and amplified her excitement into the room. With a great start, Gavankar then introduced the Star Wars Battlefront II gameplay trailer to the delight of the crowd. 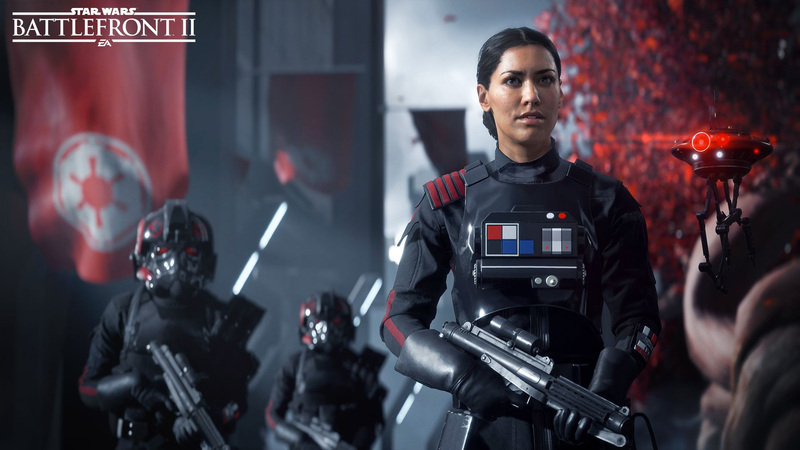 Gavankar plays strong female protagonist of Star Wars Battlefront II, Iden Versio and is also known for roles in Far Cry 4 and True Blood (TV). 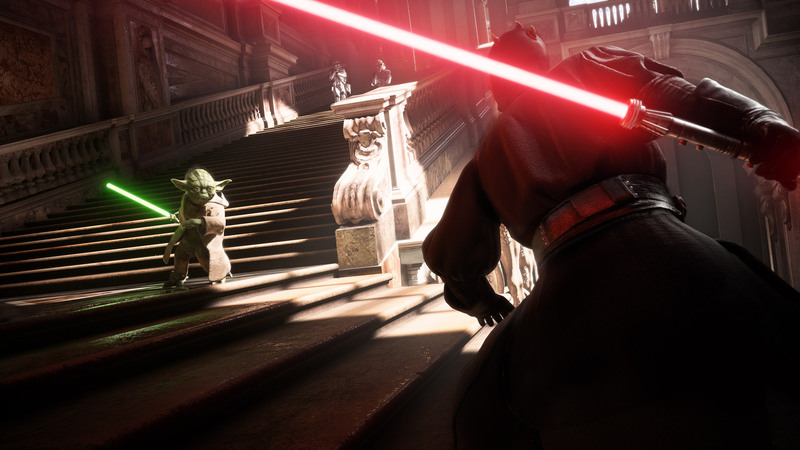 First of all, Star Wars Battlefront 2’s storyline bridges the gap between Return of the Jedi and J.J.Abrams’ The Force Awakens. 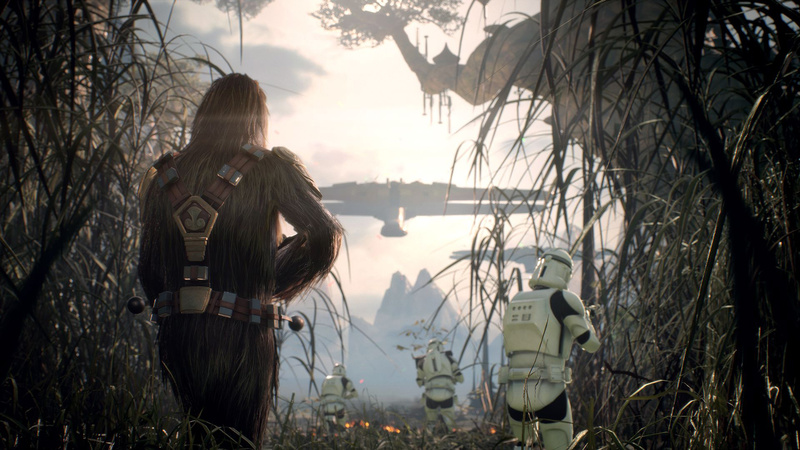 With the story slightly shifted towards the Empire, developers are able to explore a new range of worlds and perspectives. 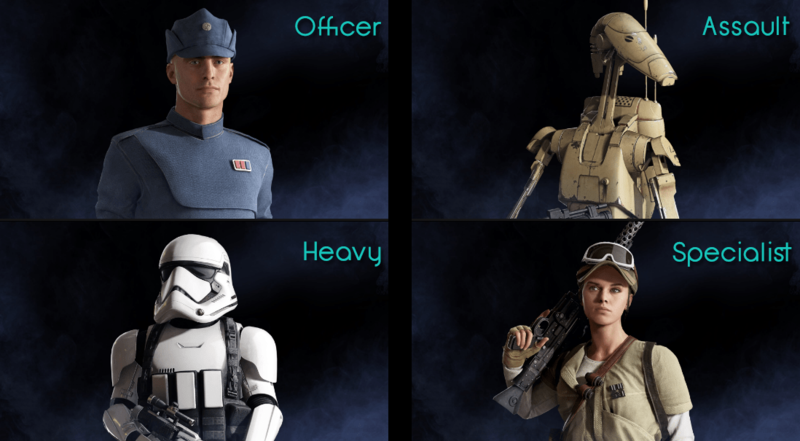 New content, new techniques and ways to play are promised to make Battlefront II stand out from Battlefront. Some of those new ways to play include different weapons with customizable abilities that can help in supporting your team. 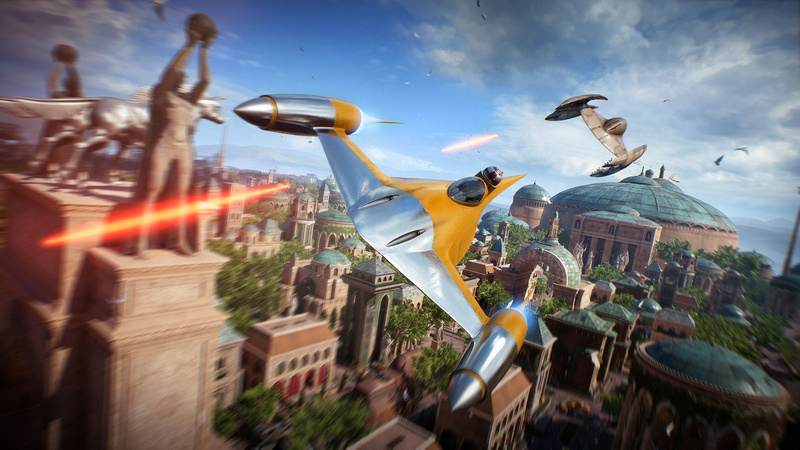 Moreover, EA and DICE confirmed all Star Wars Battlefront II DLC is free. That includes the new characters, weapons, vehicles, and maps that come with new seasons. Most of all, the first DLC for the game will introduce Finn and Captain Phasma in addition to the planet Crait. A new novel abounds, Star Wars Battlefront II: Inferno Squad which details the background of Star Wars Battlefront 2 protagonist Iden Versio as well as her Imperial soldier counterparts. 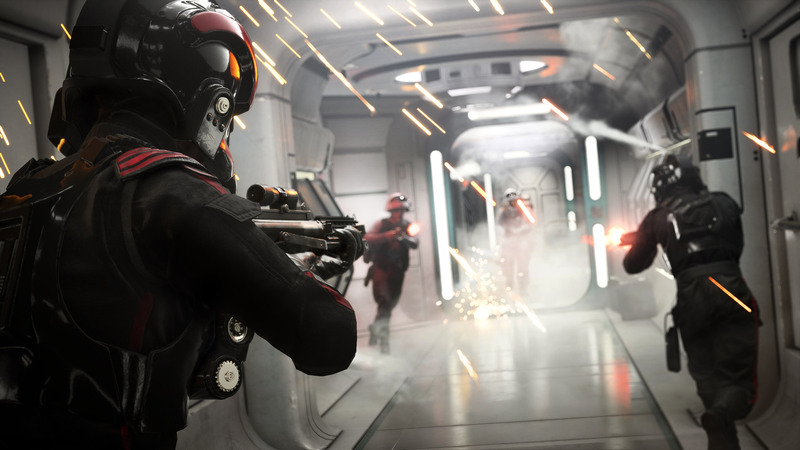 In the excerpt, which can be viewed in full at the USA Today website, it is revealed Iden Versio witnessed the destruction of not one but two Death Stars. Also, Versio is heavily involved in the Battle of Yavin where she piloted a TIE fighter on a mission to cause Luke Skywalker trouble. The novel releases July 25th and is a great insight to Versio before playing her this coming November. A forum post on the Star Wars Battlefront forums by Sledgehammer70 seems like it indicates there will be an Alpha for PC, PS4, and Xbox One. While the post has since been removed, it can be viewed in a YouTube video on BattlefrontUpdates channel here. 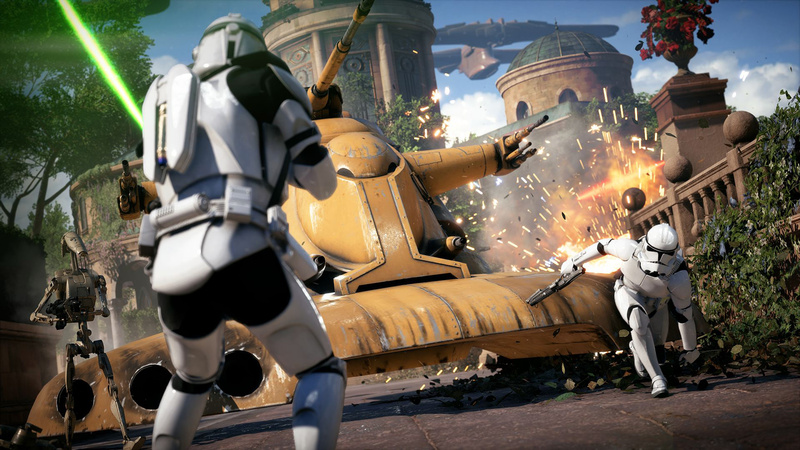 One of the interesting changes in Star Wars Battlefront II is the new battle points system for multiplayer. Players can earn Battle Points during a multiplayer match and then use them to purchase extra options during battle. 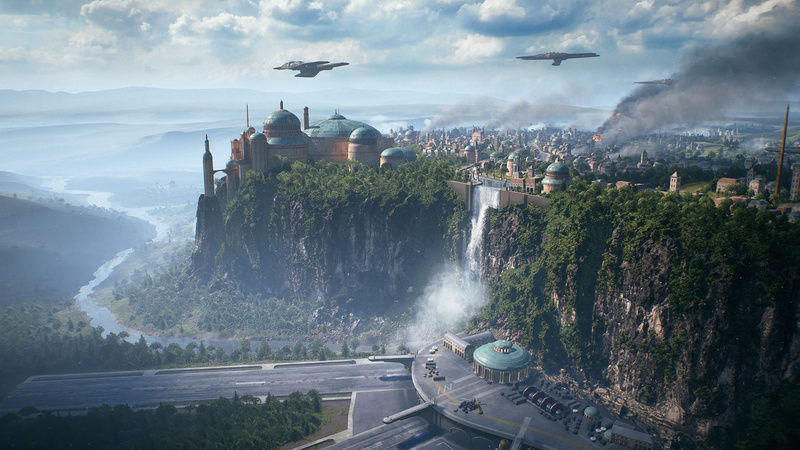 Especially relevant, Battle Points enable a player to spawn in as other heroes or vehicles including famous heroes and villains. Unfortunately having a season pass won’t allow people to play new maps. But still, gives players access to Star Wars Battlefront 2 new heroes and villains. Star Wars Battlefront II launches on November 17 for PlayStation 4, Xbox One, and Origin for PC. Furthermore, Early Access players will get into the game as soon as November 9! And finally, check out the official Star Wars Battlefront 2 gameplay trailer and screenshots below.